In 2014 Arcadia evolved into Arcadia Contemporary. This shift of name and focus was motivated by the gallery's desire to spotlight artists utilizing timeless painting and drawing skills while creating artworks reflective of the contemporary world. 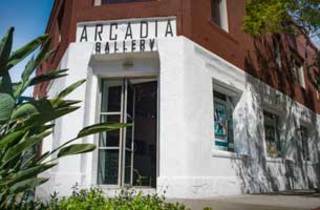 In 2016 Arcadia Contemporary relocated to Culver City, California. The gallery, now located in the bustling Town Plaza area of Downtown Culver City, finds itself adjacent to the famous, Sony Culver Studios and across a pedestrian courtyard from the Charlie Chaplin-built, historic Culver Hotel. While Arcadia Contemporary finds itself in the epicenter of the Culver Arts District and the motion picture industry, it remains impervious to the varying conceptual and stylistic shifts often occurring in the contemporary art world. Arcadia Contemporary proudly maintains its vision to present virtuoso, realist painting, drawing and sculpture by artists who are creating genuinely unique and timeless works.